Helping Smithtown Get Fit And Stay Safe! Take On The Best Jiu-Jitsu Classes And Yoga Training In Town! We're proud to offer you a wide range of expertise in self-defense and fitness training. Whether you're an expert or just starting out, our team is ready to help you get the most out of each class. We value innovation and adjustment when it comes to self-defense training. Our system is designed to keep you on the cutting-edge with workouts that can prepare you for any challenge life throws your way. Our goal every day is to make Jiu-Jitsu training accessible to everyone. From young children to aging adults, there's no one in Smithtown who can't walk through our doors and see results from day one. We're committed to you and we're dedicated to proving that each and every day. We pledge to foster an environment of support and safety, keeping you injury free and motivated to consistently challenge yourself. Challenge your body and your mind with the most cutting-edge No-Gi Jiu-Jitsu Classes in Smithtown. Perfect for all experience levels, these classes can help you get fit and learn incredible self-defense. Treat your child to the best age-specific training in town with our Kids Martial Arts Classes in Smithtown. We're helping students build confidence and strength and keep them motivated like never before. Improve your strength, flexibility, and mobility in no time with our Functional Fitness Classes in Smithtown. We're helping men and women of all experience levels find sustainable success. From his first strategy in the early 2000s, Eddie Bravo set the pace for effective No-Gi Jiu-Jitsu training. Today, that mindset carries on as we aim to lead the charge in self-defense for any situation. What are we without it? Our ability to adapt has kept us a step ahead of the rest. The 10th Planet system makes it possible for everyday men and women to train and find success in no time. We aren't afraid of change and we certainly aren't afraid of failure. Just like the origins of Bravo's No-Gi training aimed to fill a void that no one else could, we're working to improve every day and do the same. Jiu-Jitsu as a traditional discipline offers a wide range of mental and physical benefits. We'll never abandon those. But with each step, we improve them - helping you become more efficient as we push the system to the next level. Are you ready to get more from your workout? We've got the answer. 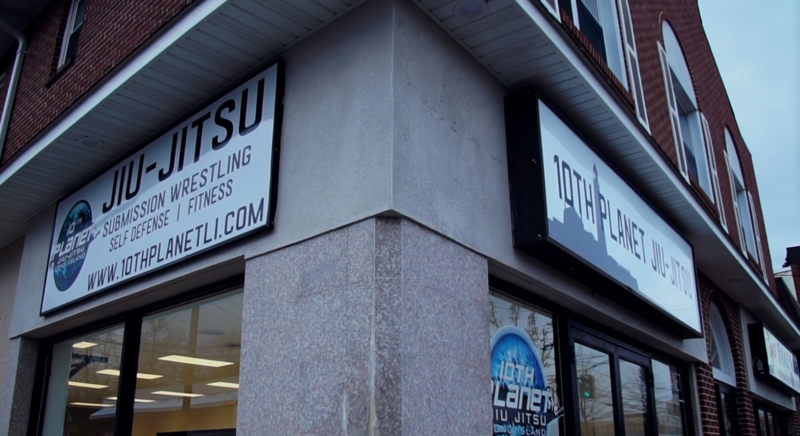 At 10th Planet Jiu-Jitsu Long Island, we're offering the best self-defense training in town. But our programs do so much more. For us, Jiu-Jitsu is a philosophy. It's a path to success in all aspects of life and we're forever tweaking our approach to keep up with a fast-moving world. Our No-Gi Jiu-Jitsu training gives men and women of all backgrounds the chance to learn self-defense and see results like never before. PLUS, our Kids Martial Arts system combines the best of both modern-day and traditional practices and our Yoga classes offer a truly revolutionary way to burn fat and build muscle. Put simply: We've got it all. Are you ready to get started?